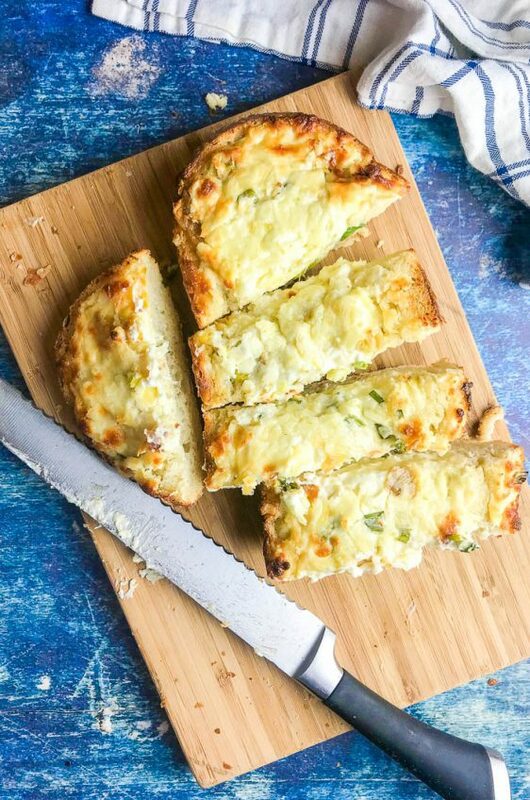 Hot Cheesy Scallion Dip. It’s kind of amazeballs. First of all there is cream cheese, scallions, mozzarella, chili sauce, and a little soy sauce. Then you take all of that deliciousness, mix it together and bake it until it’s golden and bubbly. Finally, all that cheesy deliciousness is scooped up with some crispy, and crazy easy to make, wonton chips. 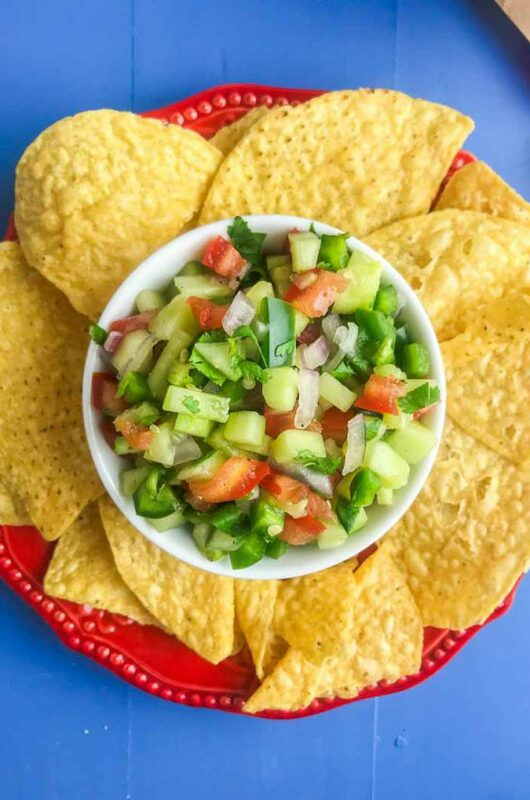 Guys, you’ve got to make this dip. Pronto. 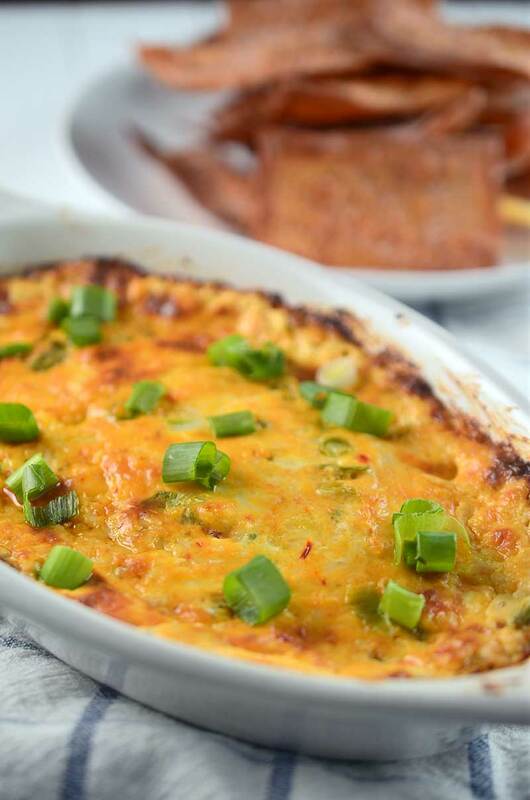 If you are looking for a hot and cheesy dip that has a little kick to it then this Hot Cheesy Scallion Dip is for you. 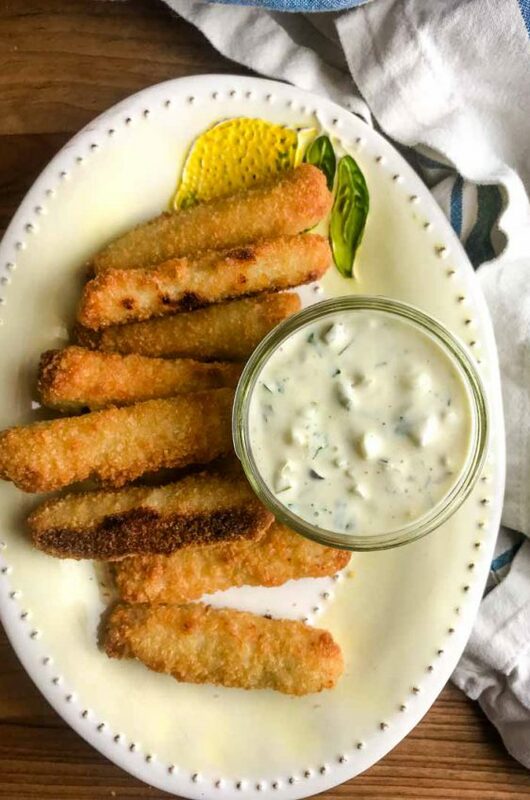 Like many of my other recipes, this one just kind of came together when I had craving and I only used what I had available. That’s why some of the ingredients might seem like they came out of left field but guys, they totally work. Like seriously. 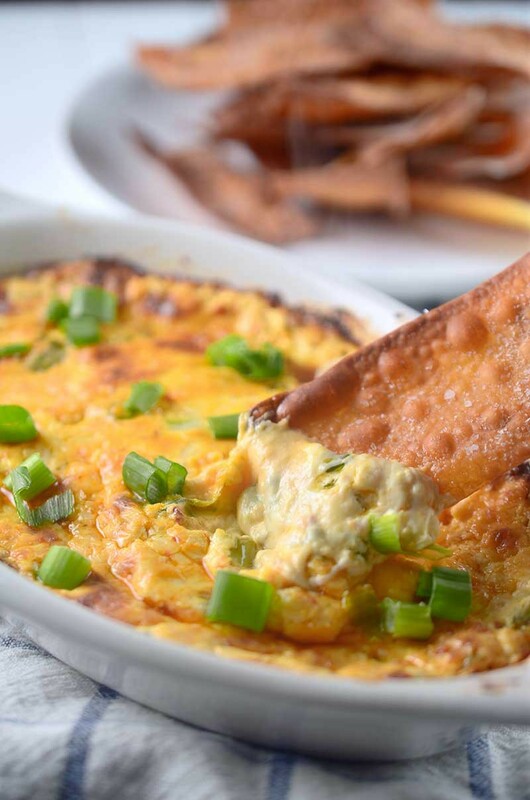 When all of the wonton chips were gone, I may or may not (but most certainly was), scooping up this Hot Cheesy Scallion Dip with my fingertips. Speaking of wonton chips. I chose to make wonton chips to go with this Hot Cheesy Scallion Dip because I was going with kind of an Asian theme. The wonton chips could not be easier to make. Simply cut a wonton wrapper in half, brush with avocado oil, sprinkle with salt and bake until they are golden brown, about 5 minutes. Then bam! Crispy, crunchy wonton chips. And since they are baked, you can totally feel less guilty about eating more of the cheese dip. Combine all ingredients together in a bowl. Mix well. 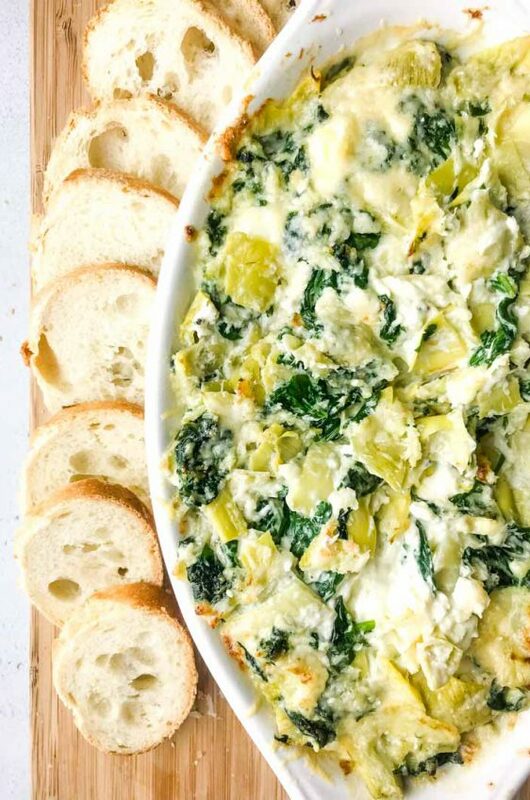 Spread dip into a small baking dish. Preheat oven to 400 degrees. Place a cooling rack on top of a baking sheet and spray with non-stick spray. Place wontons on top of cooling wrack and brush with avocado oil. Sprinkle with salt. Bake wonton chips in preheated oven for 5 - 7 minutes or until browned. Depending on the size of your cooling rack, you may need to do this in a couple of batches. Remove from oven and set aside. Turn oven to 425 degrees. 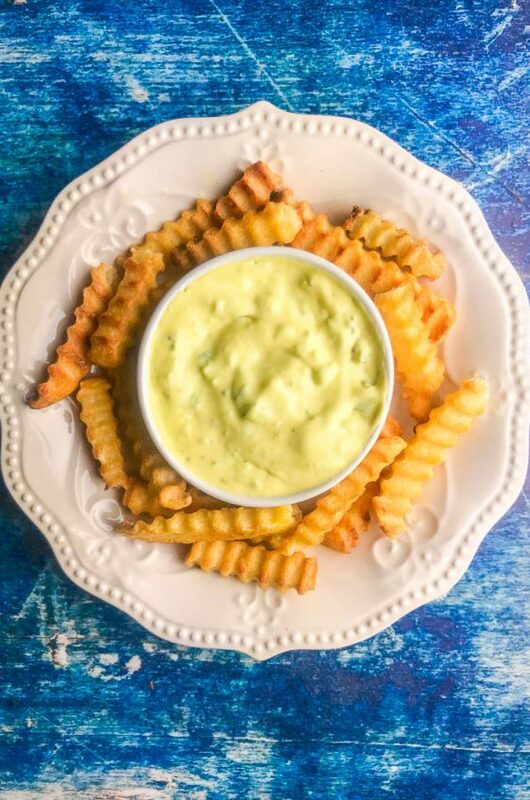 Once hot, cook dip until the top is golden and the edges are bubbly, about 15 minutes. Remove from oven, cool for a couple of minutes. Serve immediately with wonton chips. This sounds perfect!! Definitely making this for the next get together we have! Oh my…I could eat this for dinner! That being said, it would be the perfect football-watching food, too. Gimme all the melted cheese!! Oooooo…. 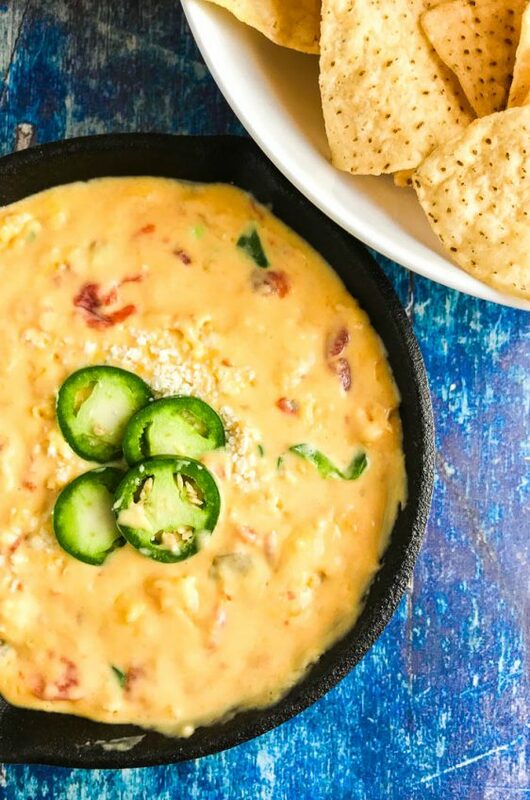 love how ooey, gooey, & cheesy this dip is! :) Perfect for game day! And those wonton chips?? LOVE it! What a great option for get togethers! Oh my, wonton chips are the best! I can’t imagine how well they go with this cheesy dip. Looks so perfect for some football watching this weekend!